There are all kinds of museums like history, science and art and most people are familiar with these more traditional types. But the first time I went to a wax museum, I was really surprised at the quality and life-likeness of the figures. But I can’t say that I’ve been to a “weird” museum before. I’m not even sure what you would find if you go inside. Have you been to one? 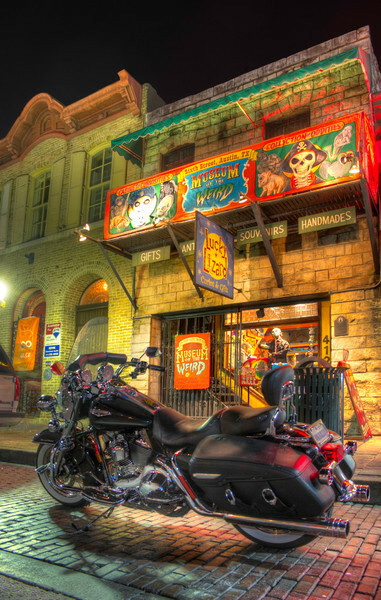 This “museum” is on 6th Street in Austin, Texas. You have to understand though, that a popular phrase goes “Keep Austin Weird” and they like to live up to that claim.